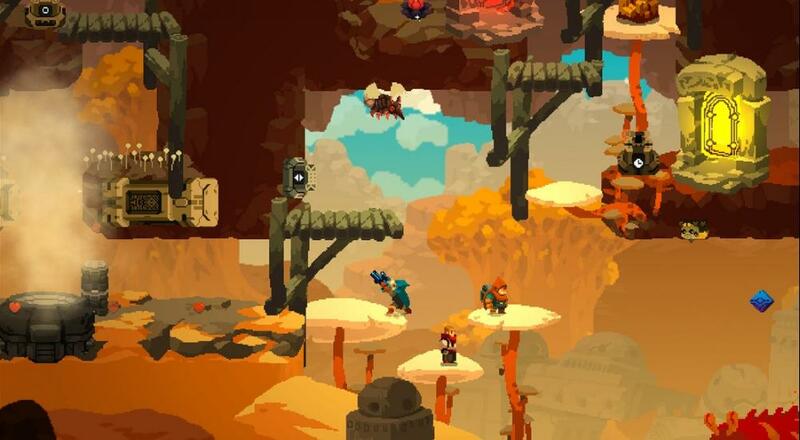 Last week, GUTS Entertainment's stylish action/tower defense title, Aegis Defenders, dropped on PlayStation 4, PC, and the Nintendo Switch. We spent a little time showing it off this past Monday evening during our regular Monday night "Let's Play Co-Op" streams, and I can safely say, this is one of the most interesting and visually captivating local co-op titles I've played this year. As this is a local co-op only title, Locke handled the actual playing while I provided the running commentary and thoughts on the game. Most of what's shown off in the recap video is from the first few levels, but I think you'll be able to get a pretty good idea of what the action and gameplay are like. The one aspect that we only begin to touch upon, and I wish we had more time to get into, is the way the tower defense sections play out and how they become more and more puzzle-like as you progress. Later levels introduce new playable characters that have different kinds of attacks, new structures/special objects they can construct, and new fusions that can be made by combining two or more characters' constructs. There's a lot going on during those defense phases and playing single-player vs playing cooperatively definitely changes things up. We'll have a full Co-Op Review early next week, so be sure to check back for our full thoughts! Aegis Defenders is available on PC, PlayStation 4, and Nintendo Switch for $19.99. It supports two player local co-op throughout the campaign. Page created in 0.9051 seconds.